At SALTEX 2017 Dennis & SISIS (Stand E070) will be living up to their reputation of having world-class maintenance equipment for every type of playing surface with a wide range of equipment on show. 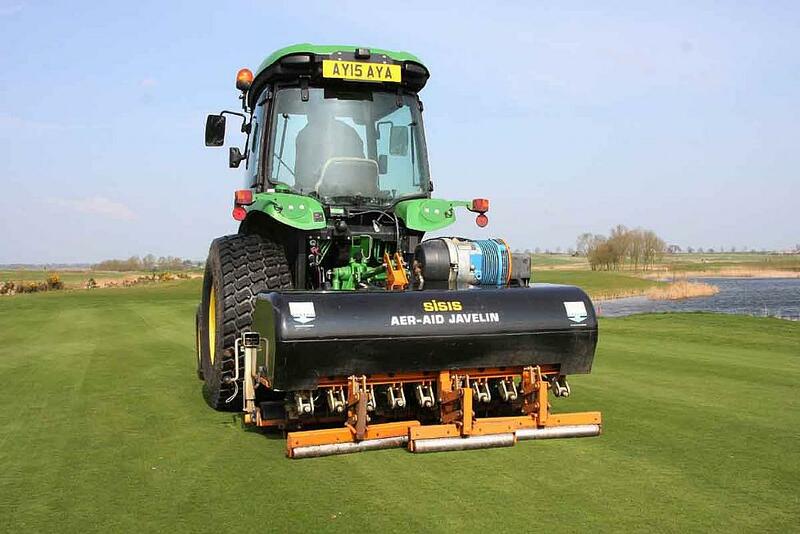 Featuring prominently on the stand will be the SISIS Javelin Aer-Aid 1500 – a tractor mounted vertical action aerator offering air injection, which recently gained rave reviews from the STRI (Sports Turf Research Institute). Over a three month period, extensive STRI trials led by Dr Christian Spring were carried out which examined how and if the Javelin Aer-Aid had an effect on the hardness of the turf, the root depth, water infiltration and disease. “Following successful trials on an established sand based golf green, this aerator, when used as part of an integrated turf management programme, would be a very useful tool for managing soil and plant health. It became obvious that the Aer-Aid improved maximum root and depth within the soil profile and also had the benefit of increasing the depth of the average rooting mass,” said Christian. SALTEX visitors will also get the chance to see the newly launched Spring Tine Rake cassette – which has been specifically designed for the Dennis G860 cylinder mower. Operators already have a plethora of options through the G860’s interchangeable cassette system, which includes scarifiers, verticutters, brushes, spikers, slitters and six or eight bladed cutting cylinders; and they will be pleased to see the launch of the Spring Tine Rake. This new cassette contains 42 springs with 12mm spacings that can be used for the removal of dead turf matter, cleaning the surface and helping to scratch through the black crust that commonly appears on the surface thus improving drainage. The SISIS range of pedestrian scarifiers come highly recommended by turf managers, and a number of these products will be featured on the stand such as the Rotorake 600HD and the Auto Rotorake MK5. With a range of interchangeable reels consisting of thatch removal, thatch control and a range of brush reels, the Auto Rotorake MK5 can be used for several different tasks including scarifying, verticutting and brushing. From the same range, the Rotorake 600HD is a heavy duty pedestrian scarifier and linear aerator. This versatile machine is equally at home when used for regular routine use at a shallow setting or a deeper setting when required. 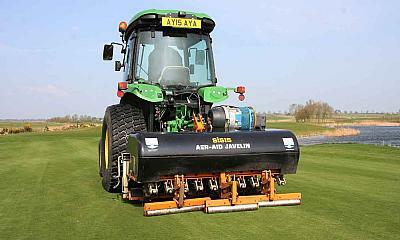 It also contributes to aeration and compaction relief by cutting clean, continuous slits by utilising a high tip speed to assist water and air absorption. For a machine which is equally effective on both natural and synthetic turf then look no further than the SISIS Osca – a tractor mounted powered oscillating brush. 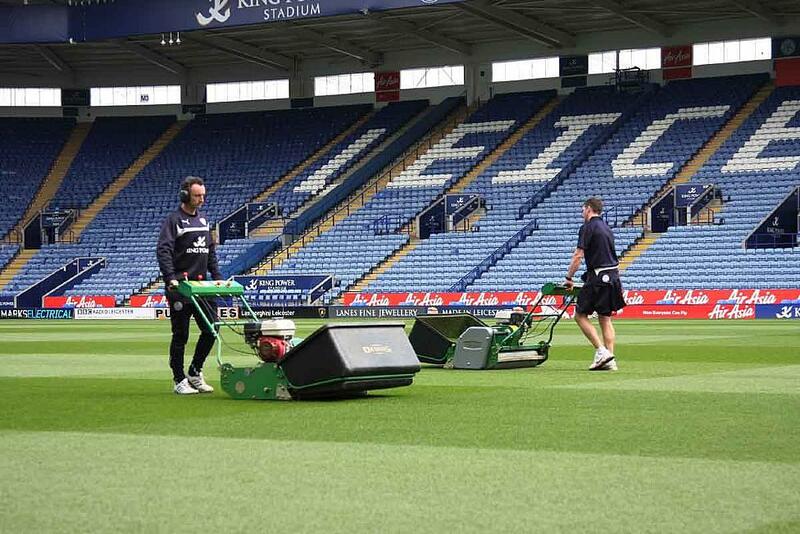 Also on the stand will be the SISIS Quadraplay; a single pass maintenance system which incorporates a mounted frame for up to four implements and the SISIS Towed Implement Frame which is designed specifically for daily maintenance of artificial surfaces – it can also be fitted with a number of implements including the Flexicomb and Straight Brush. Also featuring from the SISIS portfolio is the Autoslit and Multislit, and visitors will get the chance to find out more about these unique products. The SISIS Autoslit powered deep slitter is a familiar sight in a turf manager’s inventory, and offers deep, clean penetration with minimal surface marking. Possessing the same outstanding qualities as the Autoslit is the SISIS Multislit - a tractor mounted deep slitting lawn aerator. Both machines produce excellent underground cultivation due to the angle of the tines, with the spiral design of the tine shaft assisting penetration. Their simple design also means that they require little maintenance. 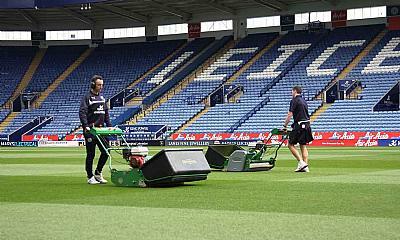 Visitors to the joint stand will no doubt already be aware of the highly regarded Dennis FT pedestrian mower series. Available in 17" (43cm), 20" (51cm) and 24" (61cm) cutting widths, the FT series is an interchangeable cassette mower giving options to fit 12 different heads which offers the versatility that is essential for a busy club. The speed and ease of changing these cassettes has made the FT range a firm favourite. SALTEX attendees can expect to see the Razor Ultra 560 which has a 560mm (22”) cutting width and incorporates many key features including an 11 bladed cutting cylinder, ultra-short wheelbase for undulating surfaces, tungsten tipped groomer, compact handle design for extra manoeuvrability, click height adjusters and stub free transport wheels for easy transport from site to site. Dennis and SISIS’ experienced and knowledgeable members of staff will be on hand throughout the two days to offer valuable advice about the full range turf maintenance machinery. It will also be a good opportunity for visitors to find out more information about the upcoming educational events for greenkeepers and groundsmen.